Twitter has been flooded with tweets from users who are no longer able to update apps from the App Store after installing iOS 11.4.1. When trying to update applications, some users are getting error messages along the lines of “Unable to install [app name here]. This app was not installed from the App Store and must be reinstalled manually.” The error popup then gives users the choice to keep or delete the app. Other users are reporting that their apps are crashing or are stuck in a continual load loop. @AppleSupport | Just updated my iPhone X to 11.4.1 and now many of my apps crash within seconds. Notes, Mail, etc. HELP PLEASE! Dear apple, I did the update for my iPhone 6. I installed iOS 11.4.1 the problem is when I want to update an application it keeps loading!!!! I had to turn on my VPN so I can update my applications! How I can fix this issue. It is apparent that something went utterly haywire concerning either the App Store or the updating processes within iOS 11.4.1. 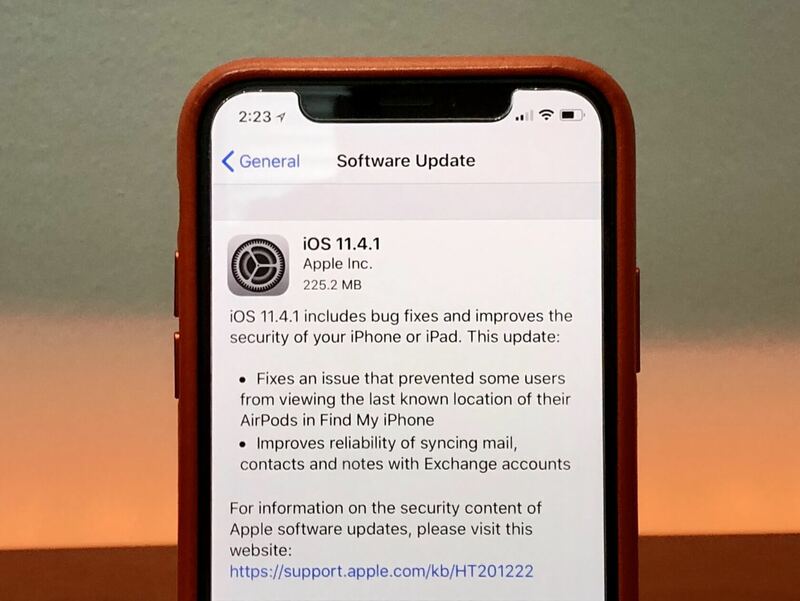 According to the release notes the two primary fixes in the update were one that rectified an issue with iOS not revealing the last known location of AirPods and an improvement for syncing mail, contacts, and notes from Exchange accounts. There was also a slew of security fixes that could be involved with the problem. The update contained a couple of kernel tweaks, two libxpc patches, and numerous WebKit fixes. “A memory corruption issue was addressed with improved memory handling,” said the update’s description. Whether or not the WiFi patch is the issue causing the problems remains to be seen, but it seems clear that something in iOS 11.4.1 is giving people fits. It might be best to postpone updating your iPhone until Apple handles the problem. However, if you do not need to update any apps or can hold off until later to update them, you might not experience any issues. TechSpot has reached out to Apple for comment but has not heard back by post. We will keep you updated on the situation. I'm not having this issue at all on my iPhone 7 Plus with iOS 11.4.1. It seems to be fairly sporadic. Some users say that after the update, the App Store update tabs shows that practically every app on the phone needs updating, but when they try they get stuck in a downloading loop. Others can't connect to the store at all. At this point Apple seems to be handling the issue on a case-by-case basis. Apple has still not responded to my request for comment. Updates are fine on my 6s running 11.4.1. It's just got a bit slower after this update. OMG!! I updated to 11.4.1 and now I cannot update apps, corp mail is jacked, anyone and map apps no longer work on cell data only. Everything has to have wifi to even try to work. I am ready to brick this thing into a wall. SOOOOO pissed. I am having issues on my IPAD 12.9 as well. I update to the 11.4.1 since then I have had my wifi drop in and out every 30 seconds or so driving me mad no idea what to do now any advice? Well apparently they fixed whatever was causing my issue as now I can access FB from my email. Everything else seems to be working just fine, thankfully.